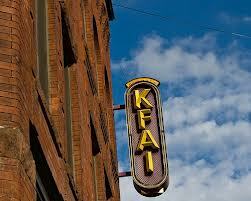 We’ll get to our regularly scheduled program after this message: The KFAI Pledge drive is only one week this year. That’s right, you only have one week to pledge your support to KFAI, and only one day when I’ll be broadcasting my show in particular (Rhythm and Grooves). Go to: http://www.kfai.org and follow the instructions for pledging. Alternatively, you can call 612-375-9030 during Rhythm and Grooves from 10:30 – Noon on Saturday. Whatever you choose, I thank you for your support. BTW, Jana Nyberg will be dropping by Saturday to talk about her Tuesday gig at The Artists Quarter. On to the week. It’s another good one for people who enjoy live music. You can choose to see young artists, veteranss, or new combinations of artists in jazz. Or, you can check out blues and roots musicians in a variety of settings. Of course, there are always more artists and more opportunities than I can describe. Just be thankful we have such a rich offering of talented musicians. Courageous Endeavors @ The Artists’ Quarter, Saint Paul. 9pm ($5) A new group in town, though some of the players are familiar, if young. Miguel Hurtado, who holds down the drum seat, first made his mark in town as a teenager at the turn of the century. He’s back from studies at the Manhattan School of Music and is proving to be a great addition to our jazz community. Brian Courage is on bass. He recently moved to town and is quickly establishing himself. 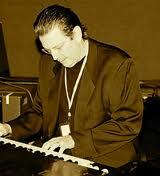 Pianist Joe Strachan was a member of the Dakota Combo some years ago. Saxophonist Nelson Devereaux rounds out the group. Watch out for these guys. 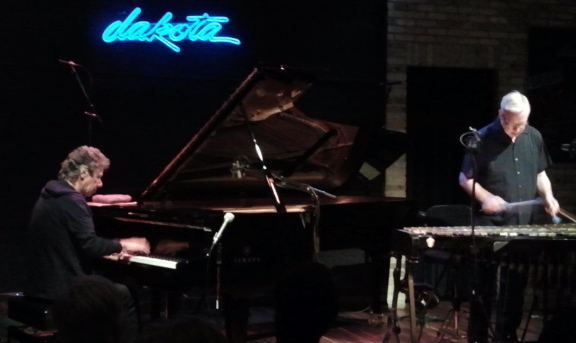 Chick Corea & Gary Burton @ The Dakota, Minneapolis. 7pm ($80-$70) and 9pm ($60-$50) The price may seem a bit high, but you get the chance to the crystalline interplay of Corea on piano and Burton on vibes in the intimacy of the Dakota. Their first LP of duets came out forty years ago, while their latest, “Hot House,” which features a pop, Broadway, jazz and Brazilian tunes was recently released. Pete Whitman’s X-Tet @ the Artists’s Quarter, Saint Paul. 9pm ($8) Here’s a chance to catch ten of the Twin Cities finest jazz musicians for less than a buck a musician. Just remember that in this case, price doesn’t correlate with quality. The X-Tet, with charts by Whitman and others, swings like crazy. Robert Bell & Naomi Uyama @ Barbette, Minneapolis. 10pm (Free) Bell is a guitar player whose interest lies in early jazz (both American and European), as well as gypsy jazz. Noami Uyama is a jazz vocalist who has danced her way around the world and studied in New York. Have some moules, frites, and wine and enjoy their music. Dan Musselman Quartet with Hermon Mehari @ Dakota Late Night, Minneapolis. 11pm ($5) Musselman is a pianist who plays regularly with Cory Wong and has recorded a great duet album with singer Rachel Holder. He studied with Craig Taborn and Kenny Werner in New York, and has developed a strong style of his own. Mehari is a young trumpeter who has studied with Terrell Stafford, Bobby Watson, and Jaleel Shaw, among others. I saw him last week playing with Yohanes Tona and realized he’s a talented musician worth following. Nichols, Lewis, Wozniak, Fratzke, & Bates @ The Artsits’ Quarter, Saint Paul. 9pm ($10) Here’s another combination of artists that have worked with each other in various other configurations. Bryan Nichols on piano; Michael Lewis and Brandon Wozniak on saxophones; Eric Fratzke on bass; and JT Bates on drums and percussion. All are versatile performers thoroughly capable of inspiring each other to improvisatory heights. Maude Hixson @ Parma 8200, 5600 West 83rd St, Bloomington. 7:30pm – 10:30pm. This is a new venue for jazz, and I have to admit I’ve not been there. But it’s a D’Amico restaurant and bar, and the few artists that have appeared already are high quality performers. Tonight, Hixson will be joined by Vincent Rose on guitar and Keith Boyles on bass. Hixson has a voice that is sometimes cool, yet also gives off some warmth. She can imput meaning to lyrics with the slightest change in her voice. Connie Evingson Trio @ the Lexington, Saint Paul. 6:30 – 10:30pm. If you don’t want to travel to Bloomington, you can head to Saint Paul to hear the always elegant Connie Evingson. Her recent CD, “Sweet Happy Life” reached the top ten on the jazz charts and just got a very postive review in JazzTimes. Todd Clouser & Bryan Nichols @ Cafe Maude, Minneapolis. 7:30 – 10:30pm. Clouser’s electric guitar is sometimes closer to rock than jazz, but he’s a more than capable jazz player. Nichols’ sensitive, sometimes airy piano will provide interesting counterpoint. Cornbread Harris @ Cafe Maude, Minneapolis. 7:30 – 10:30pm. (No Cover) Have a little boogie woogie and R&B with your dinner as Cornbread tickles the ivories and sings in that raspy voice of his. Radio Joe & the JazzBos @ The Eagles Club #34, Minneapolis. 8pm ($5?) Swing dancers will be out to hear Joe & his band play standards and a few originals. Bethany Larson & the Bees Knees @ James J. Hill Library, Saint Paul. 7:30pm ($15, gen. $10 members Friends of the Library) Not to be confused with the Real-Phonic Hour, this concert is part of the Book It series sponsored by the library. across from Rice Park.It starts off at 7:15 with an hour of music trivia. 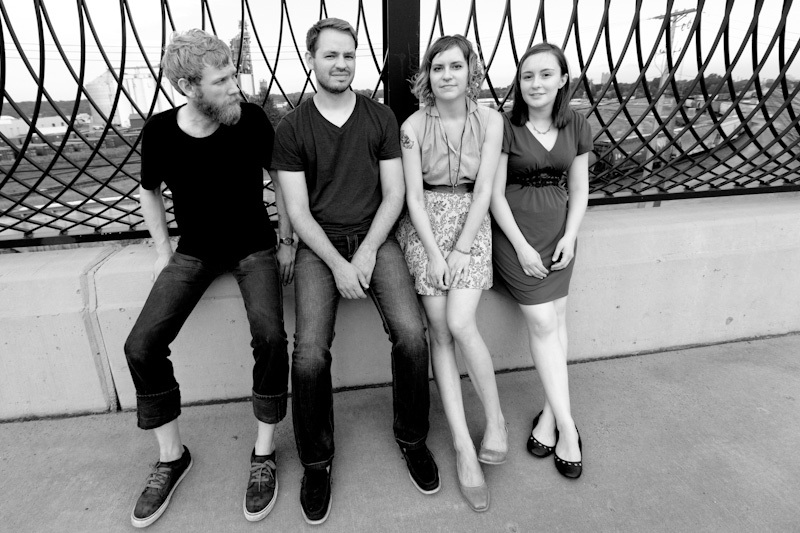 Then Bethany and the band will take the stage to deliver original folk-rockish song. Get a free beer with a library card & ID. Friday Hipshaker Dance Party @ The KittyKat Club, Minneapolis. 9pm ($5) After ten years of weeknight spinning, Brian and Greg are moving to Friday night at the KittyKat. Still plenty of good 45s to be played for your dancing pleasure. Patty Peterson & Friends @ Bunkers, Minneapolis. 9:30 ($10) Tonight, Patty’s friends include Ricky Peterson on organ and Steve Cole on sax. It’s bound to be a cookin’ evening with Patty concentrating more on the R&B side of her repertoire. Joe & Vicki Price @ The Driftwood Char Bar, Minneapolis. 9pm (tip jar) These Iowan bluesmasters are on a mini-tour of the Twin Cities this week. Here’s your chance to hear stripped down, delta style blues. Here’s a video to give you a idea of their sound. Rauchfest @ Harriet Brewing, Minneapolis. 1pm – 1am ($10 advance/$15 gate) Beer, music, art, and food. What else do ya want? Well, let’s look at who is performing: Ten bands including the Zack Lozier Trio, Electric Children, Mary Cutrufello, Nick the Feelin’ and The Big Wu. There’ll be four food trucks, eight different beers on tap, and a dozen or so artists and artisans, including a local beer artist, whatever that might be. Badinovs @ The Hat Trick Lounge, Saint Paul. 9pm. ($7) To borrow a phrase, it’s Pure Pop for Now People, from this band that has arisen from the ashes of Smart Alex and Swing Set, two much loved, if under-recorded Twin Cities bands. The Badinovs haven’t played in about two years, but they’ve got a new song, Midway Joe, that’s been getting lots of play on MySpace. 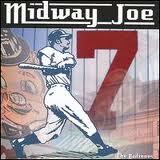 The paen to Joe Mauer is catchy, with a sing along chorus that should be reverberating throughout Target Field. It’s part of a new CD, Fess Up, that will be available, even though this isn’t an official CD release party. Brunch with Rena Haus @ Hell’s Kitchen, Minneapolis. 10am – 1pm (No Cover) You’ll have new appreciation for the eggs in your breakfast when you hear Rena sing of her adventures with a chicken on her farm. She’ll sing about other subjects as well, like car mechanics and the economy. It’s blues with a feeling, that’s true. This entry was posted on Thursday, September 27th, 2012 at 9:03 am and is filed under Uncategorized, Weekly Preview. You can follow any responses to this entry through the RSS 2.0 feed. You can leave a response, or trackback from your own site.